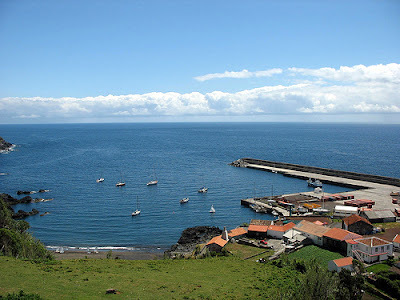 Picturesque town and fishing port, surrounded by green fields. Well worth a visit is the chapel of Nossa Senhora das Angústias (18th c.), built as the result of a vow made by Spanish nobles who were saved after the wreck of their galleon. Church of Nossa Senhora do Rosário. 18th c. building. High Altar. Carved wood.